his book is going to enrage environmentalists, conservationists and anyone who has paid tax, donated or otherwise put money towards “saving” some beloved native species. Because according to Chris D Thomas, a controversial ecologist at York University and a Fellow of the Royal Society, we are wasting our money. The extinction crisis is not imaginary. Since modern humans emerged, Thomas agrees, some 5% to 6% of mammal species have vanished, especially the big ones. So, too, have 9% of all birds, many killed off by the arrival on fragile Pacific islands of the unholy trinity of dogs, rats and men. If things go on as they are, he admits, 10% of all species will die out in the next 1,000 years. Even climate change has an upside. Most species reach their physiological peak above the current average of 14C, so global warming has “unleashed large numbers of heat-loving species”. The comma butterfly has spread 350 kilometres north through Britain since the 1970s, tracking the one-degree rise in temperatures. Many plants benefit from “global greening” (the warmer, wetter, more carbon-rich environment). The obvious objection is that plenty more species are being left stranded in rapidly changing habitats that cannot sustain them. But for Thomas, this is no problem. We have already transformed the world to such an extent that the “wild” is a “mirage”, he maintains. A third of the world’s land is covered by our crops, pastures and forest. The very distinction between “human” and “natural” is “illogical”. We should not be afraid to engineer “wild” nature by transporting species to where they will thrive. “This is the antithesis”, he admits, “of traditional conservation thinking”, and he skirts around past failures with translocation programmes. For Thomas, “invasive species” are the happy future. He wanders enthusiastically through the “exuberant” forest around Lake Maggiore, rich with Himalayan camphor trees, Japanese camellias and North American bull bay magnolias. 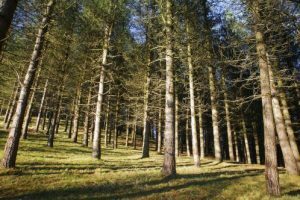 The last ice age killed off Europe’s own broad-leaved evergreens, he notes, and foreign plants “plugged this gap”. Why privilege one ecological era over another? To which state of nature, he wonders, would conservationists like to return? His best example of our irrationality is the Monterey pine. Californians are struggling to preserve this beautiful tree, which also hosts the (beautiful) monarch butterfly. The pines are threatened by encroaching housing, an imported canker and the fact that they require forest fires to propagate — a natural phenomenon that is unappealing to West Coast condo-dwellers. Campaigners are hand-extracting seeds from cones, and planting them out. At vast expense. Meanwhile, in New Zealand, imported Monterey pines afforest 18,000 square kilometres of plantation land. Not exactly a threatened species, then, or not globally. 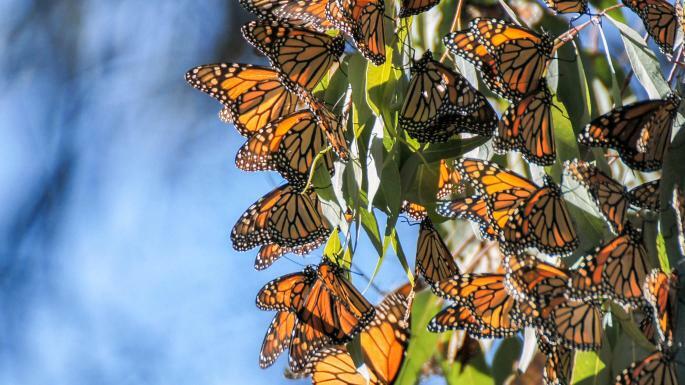 And if it is butterflies that are the problem, Californians could stop extirpating “alien” Tasmanian blue gums, in which the monarchs are entirely happy to settle. Why not let the California Montereys die, Thomas suggests, and let the blue gums flourish? Invaders, he insists, are not the problem they are made out to be. 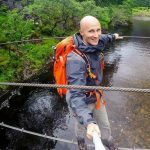 The “tens rule” applies: only about 1 in 10 arrivals escapes from captivity or gardens, only 1 in 10 of those gets fully established in the wild, and only 1 in 10 of those becomes a pest or weed — “which usually just means that they become common, without actually endangering other species with extinction”. For every new species that arrives, Thomas insists, less than one native species dies out, on average. Measured nationally, diversity is going up. Take Britain, which has absorbed some 1,875 foreign species of plants and animals in the past 2,000 years, from hares (probably brought by the Romans) to sycamores (which arrived about 500 years ago). But “as far as we know, no native species has died out as a consequence”, although some have vanished for other reasons. Human actions have led seven or eight new species to evolve here since 1700 — a rate some 100 times faster than would occur naturally. Throughout the book, Thomas attacks conservation for being “illogical”. He uses the word Spockishly often. But he could be challenged on his own grounds. When he claims that diversity is going up, when measured nationally, he is pulling what amounts to an accounting trick. Yes, a number of aggressive species are spreading around the world, bumping up the national species count, but the real issue is what is happening locally and globally. When conservationists fight to save a local population, they are not motivated by a cold assessment of the risk of national extinction. We don’t want sparrows and rare violets to exist just somewhere, but to thrive in our own hedgerows. 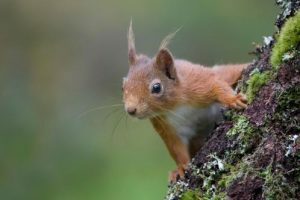 We are not satisfied to learn that red squirrels exist in Scotland and the Isle of Wight — we care about what happens in between. We are driven, in short, by local feeling and a sense of the responsibility that comes with power — perspectives that Thomas routinely dismisses. “It is difficult to understand why any particular moment in the continuous passage of time should have special significance,” he writes, revealingly. It is a brutally utilitarian attitude, and one that sits oddly with the resolutely Panglossian outlook of this calculatedly contrarian book.